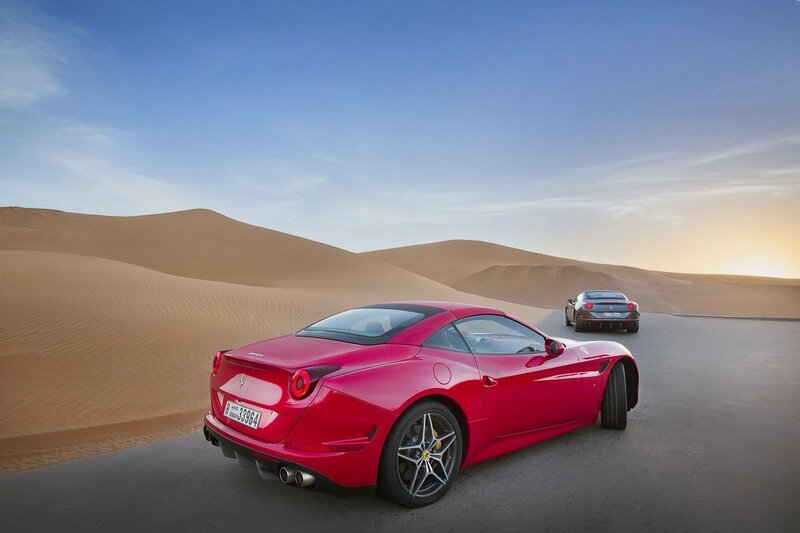 Rent the Ferrari California T in Dubai. It epitomizes the sublime elegance, sportiness, versatility and exclusivity that have distinguished every California model since the 1950s. It is a car brimming with innovation that will more than meet the expectations of discerning clients for whom fun behind the wheel is a priority, but who also demand a sumptuously comfortable Grand Tourer they can use every day. 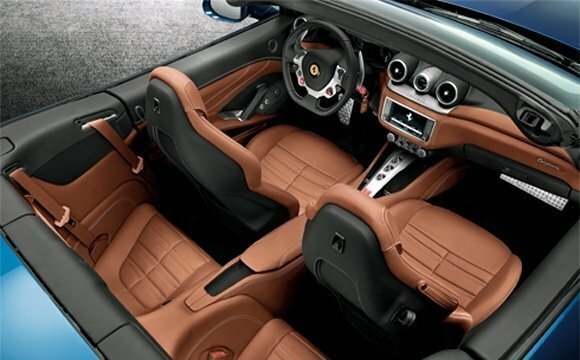 The Ferrari California T is a brilliant expression of Ferrari’s sporty DNA, while its retractable hard top (RHT) and 2+ configuration, amongst other features, make it supremely versatile. Like all Ferraris, the California T Dubai boasts cutting-edge technological solutions that make it absolutely unique, most notably the new turbocharged V8 engine. Turbo technology has an honourable place in Prancing Horse’s engineering tradition, thanks to iconic models of the likes of the GTO of 1984 and the F40 of 1987. It is now also, of course, back at the heart of our latest F1 single-seater. 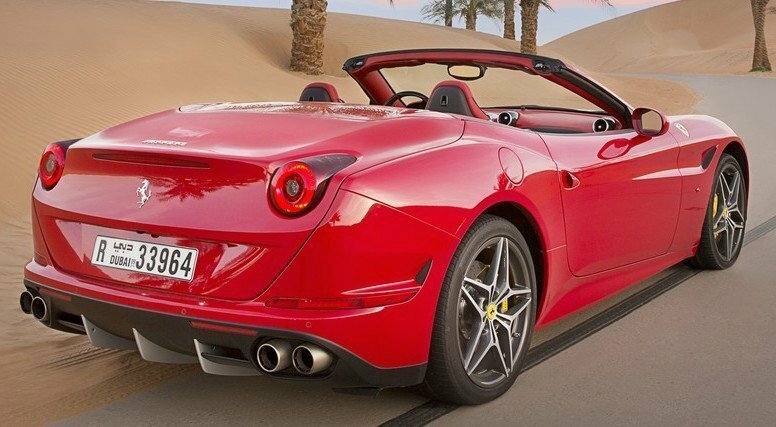 Rent a Ferrari California T in Dubai. We strive to provide the best service in the area. At Rotana Star , we have many years of experience in the hire car field. As a result, we can bring value for money and top-notch service – guaranteed. A key reason for this is because we own our entire fleet of vehicles. This means we have more flexibility on price, unlike our competitors, who often lease their cars on a long-term basis. 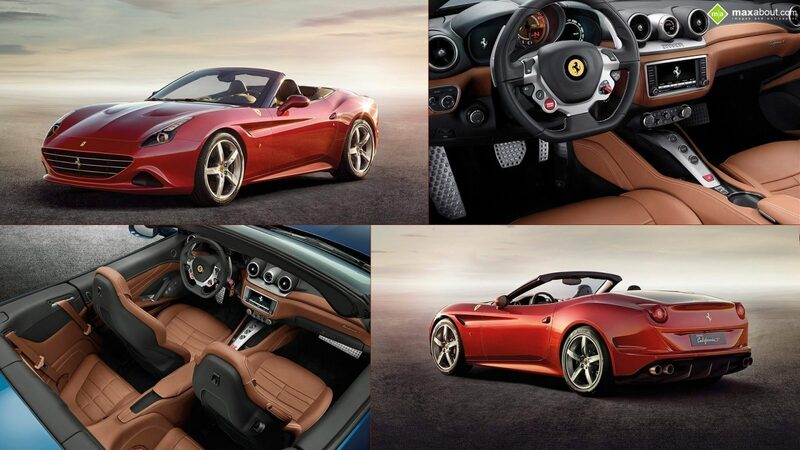 At Rotana Star, we make the process to hire a Ferrari California T for rent easy. The first step is the browse our website to find a suitable price. After this, contact us by sending in a request via our online form or by telephone. We aim to get back in touch soon after to finalize the deal. When the time comes to deliver the car, we offer two options: either pick-up the car from our Dubai showroom or take advantage of our popular door-to-door delivery service. Our premium car rental services allow you the chance to rent a Ferrari California T in Dubai or other luxury brand cars at affordable rates. Book online or over the phone and collect your rent a car or get it delivered in Dubai.